Pai is a small town in the north of Thailand. 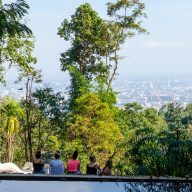 For years it’s been popular with yoga, Thai massages, vegetarian cuisine and nature enthusiasts, who value healthy lifestyle and relaxation over the noise and chaos of a city. 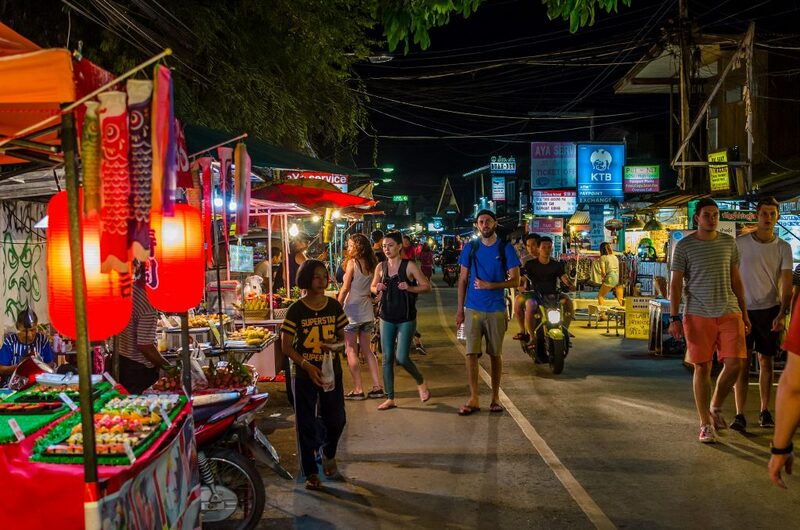 It was once a favourite hang out place among the hippie crowd and only recently it gained popularity and became a famous destination in Thailand. Fortunately, the town managed to sustain its original character of a peaceful and quiet place, where everyone can relax. 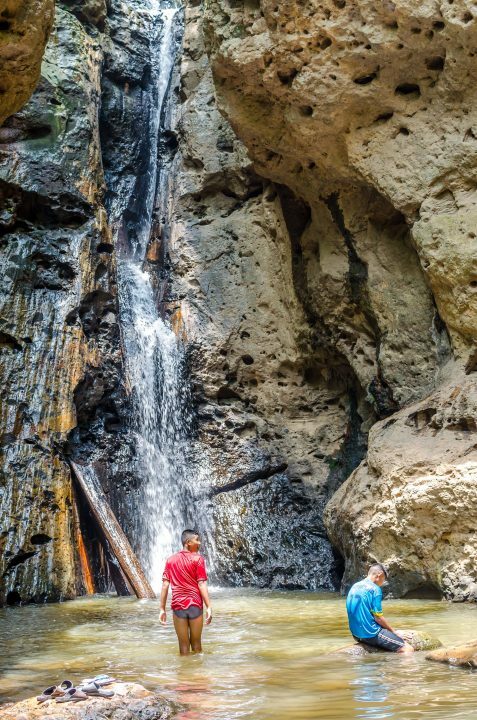 However, Pai is so much more than a town hidden in the mountains and if you love adventure, new and exciting places and would like to see how the real, unspoiled Thailand looks like then you won’t be disappointed by coming here. There are many places to see in Pai and I gathered a couple, which I think are the most interesting. 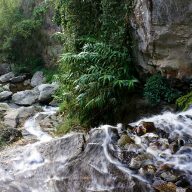 There are many waterfalls around Pai. The most famous ones are Pam Bok and Mo Paeng. The first one is my favourite. From a small parking lot you need to make your way up a hill, along a very narrow, forest path. At the beginning the waterfall might seem unimpressive, but it’s enough to step into the cool water and walk on some slippery rocks to reach a very pleasant waterfall and a pond, where you can go for a dip. Mo Paeng is a bigger place and is more popular among backpackers. During my stay I stumbled upon a large group of people, who were swimming in the cool water. It is a good place to see in Pai if you want to hang out with other travellers, or you want to meet someone new. The path leading to the waterfall is steep and slippery. During hot days you might meet some local kids, who come here for a swim. From Pam Bok go straight until you reach the end of the paved road. Here you will find the bamboo bridge, which is also called Boon Koh Ku So. It measures 800 metres in length and spreads along the nearby rice fields. It isn’t very well known, but it is definitely a great place to see in Pai. 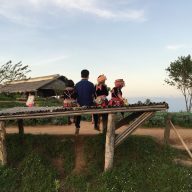 I visited the town in the dry season and the area looked brown and yellow, but I am sure that if you come here during the winter, or during the rainy season, you will be able to enjoy an even more beautiful landscape. Boon Kho Ku So is a peaceful and calm place, where you won’t see anyone. 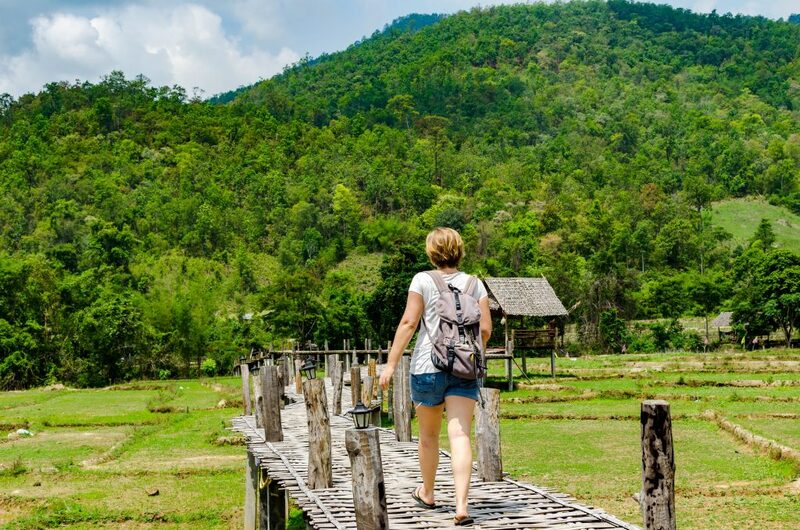 The Bamboo Bridge is one of the best places to see in Pai. 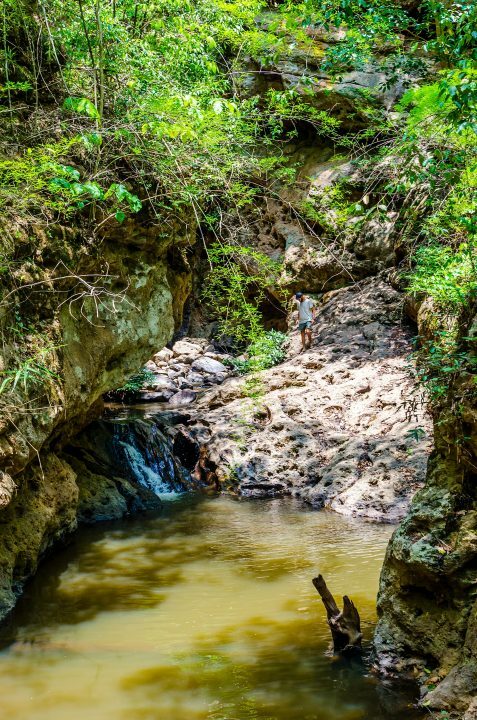 There are many caves in Pai. 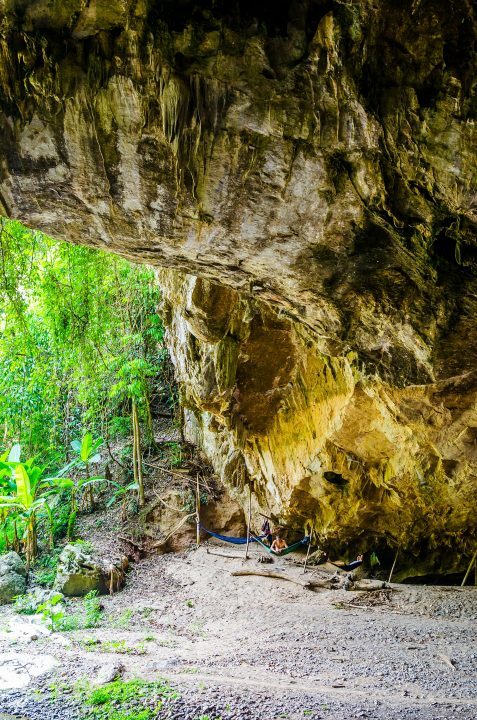 The most famous is Lod Cave. 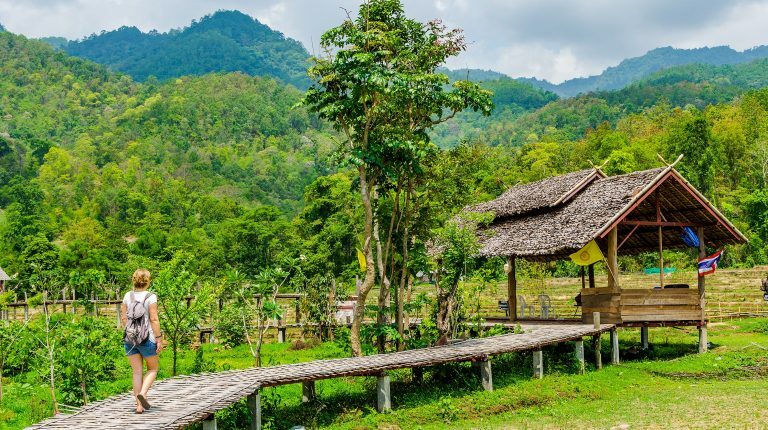 It is located an hour drive from the town and I think it is one of the most stunning places to see in Pai. The cave is huge and it is easy to get lost here. That’s why hiring a guide is a must. 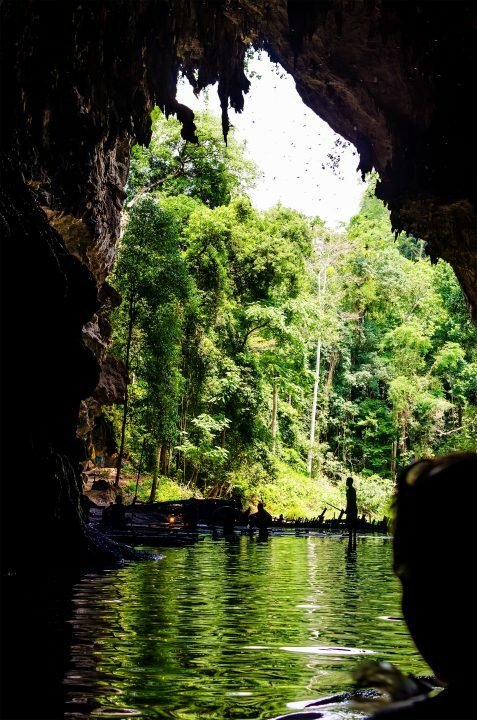 For 400 Baht you can see the whole place and go on a short cruise inside the cave on a small, bamboo boat. The main entrance is impressive and it is best viewed from the inside. The light that gets in the dark cave creates a very mysterious and beautiful image. Everything is even more amazing with birds and bats flying everywhere. During your visit, look around carefully. I had a chance of seeing a snake, sleeping on one of the rocks, and a spider, which decided to go on the boat cruise with me. Entrance: 400 Bahtów for 1 trip. The cost includes a guide and a boat trip. Lod Cave is very impressive. The entrance is best viewed from the inside of the cave. I found this place by a coincidence during my first day in Pai. When I saw a sign that said ‘Stone Forest’ I thought that it was going to be a piece of land with scattered rocks. I wasn’t mistaken. 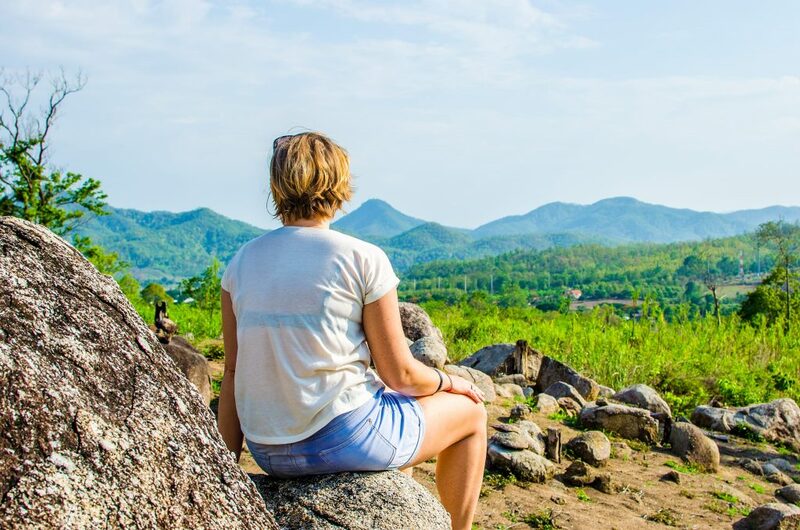 Stone Forest is not the most stunning attraction, but the view spreading around it makes it a nice place to see in Pai. The evenings here are charming. Just sit on one of the stones and admire the nearby mountains. Stone Forest is a charming place. Pai Canyon is a well known attraction in Pai. I visited it a couple of years ago and I must say that it was an exhausting experience. I was totally unprepared for the climbing steep walls. At a few places I went down and I couldn’t climb up. Everything took place in 40 degrees heat and I wouldn’t say that it was the best adventure I had ever had, but nevertheless, I would add the Canyon to the list of places to see in Pai. The Chinese village consists of nothing more than one street, which swirls around small houses and shops. There is one temple and one Chinese monument. It’s a good attraction for Asian tourists, who like to come here to take photos, but I decided to stop here for a few moments to soak up the atmosphere of this quiet place. A few kilometres after the village you will find the Yun Lai view point, which is not frequented by western tourists. This surprised me a bit as it is definitely a great place to see in Pai. You can see the whole area from here and couples can take some Asian-style, romantic photos with a huge, red heart. Entrance: 20 Bahtów za osobę. 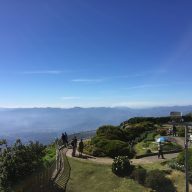 The gardens at the view point are supposed to have a romantic feel. Even the entrance gate forms a heart. Pai is very small and nothing much goes on here, but as soon as the sun sets the main street changes into a lively market. Here you can buy souvenirs, delicious food, you can drink a good cocktail and talk to other travellers. The street is not too crowded and walking here is very pleasant. I highly recommend food on Walking Street. It’s worth trying everything bit by bit and at the end visit one of the bars to enjoy a cold beverage. Na Walking Street znajdziesz stragany, sprzedające przeróżne jedzenie. 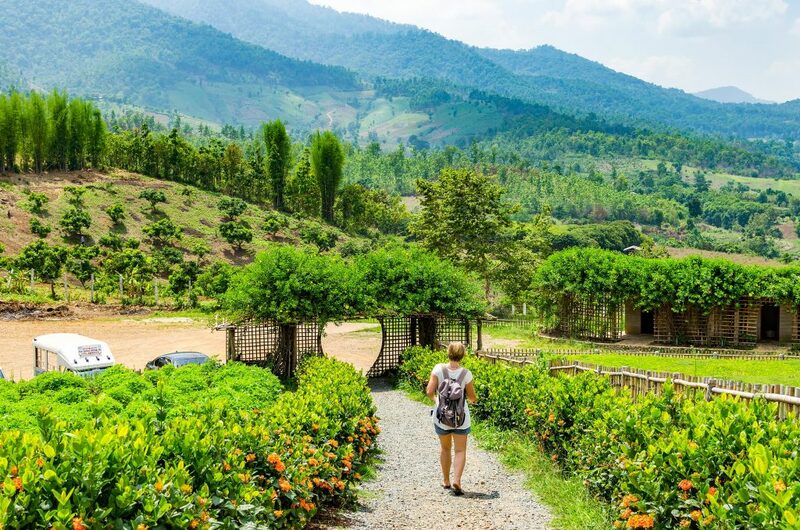 After you visit all of the places to see in Pai, you can relax in one of the vegetarian restaurants, or go for a desert and coffee in one of the quirky coffee shops. The choice is great here! My favourite places are Fat Cat Cafe and Charlie and Lek Restaurant . There are many similar places in town, where you will find western and Thai food. 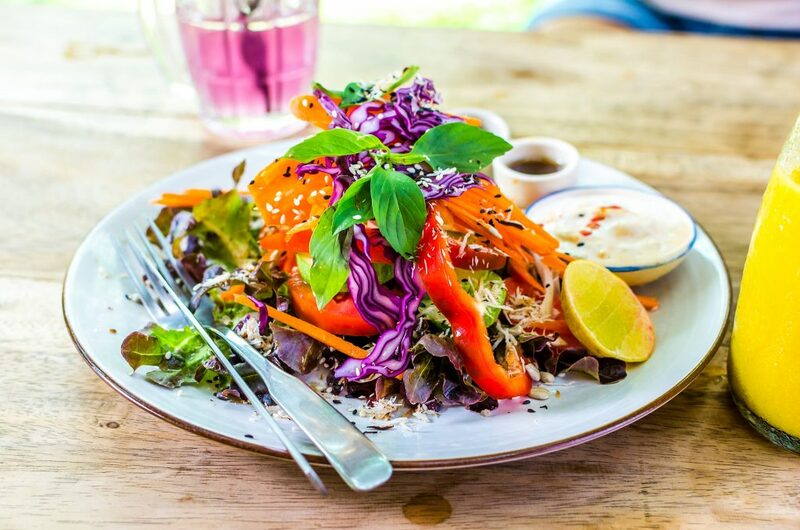 Pai is a paradise for vegetarians, but meat eaters will also get something delicious. I had some great coffee there as well, which came from the nearby hills, so coffee drinkers will be happy, too. Salads in Fat Cat Cafe were the best. My absolute favourite when it comes to accommodation in Pai. Pai Herbs Resort is located 2 kilometres from the town centre. Hidden among green palm trees, gardens and with beautiful views over the surrounding mountains, this resort is a perfect stop for tired travellers. Bungalows here are big, spacious and equipped with two balconies, a fridge, tv and wi-fi. Breakfast is included in the price. This small, pleasant hotel is located in the centre of Pai, only 5 minutes from the Walking Street. Lilu Pai offers bright, comfortable rooms with bathrooms and air conditions, and wi fi. The interior is decorated in northern Thai style, which gives the rooms additional charm. Breakfast is included in the price. If you like beautiful interiors, spacious rooms and modernity combined with traditional features, then you will find all this here. Family House Zen Boutique Resort is an ideal place for couples, or people who like luxury. Prices are affordable and, as it happens often in Thailand, the rates are much lower for such standard than in Europe. Accommodation in Pai is not only about stylish decor and comfort. Here you will find small, charming bungalows, surrounded by palm trees and rice paddies. Bannamhoo Bungalows are highly recommended by travellers, whose budget is limited. The staff here is very friendly, beds are comfortable and there is no noise to spoil your holiday.